Clear your skin and clear your mind – The DermaClear Collection was created to overcome the many types of acne. Whether battle with breakouts every day or simply need something to correct a spot every now and then, we offer a range of products that have been specifically blended to control, prevent and eliminate the numerous symptoms of acne. The DermaClear Cleanser has been formulated with Mandelic Acid, it is the ideal cleanser for all stages of acne and is particularly beneficial for acne breakouts. It is packed full of Proteolytic Enzymes, plant extracts and willow bark that calms and soothes irritated skin and Tea Tree Oil which assists in calming irritated blemishes for a quicker healing process. 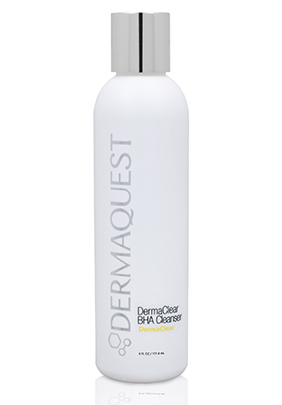 Acne concerns will become a thing of the past with the DermaClear BHA Cleanser. Dirt and oil are refreshingly washed away with ease. Featuring Salicylic Acid that diminishes blackheads and relieves congestion, it will restore the effortless allure of a beautifully smooth and clear complexion. 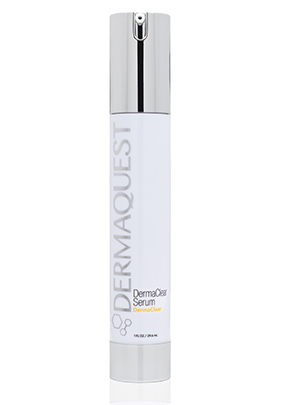 Control your acne breakouts with our signature DermaClear serum that hydrates your skin. An advanced combination of Alpha and Beta Hydroxy Acids purify your skin whilst exfoliating it and reducing the oils that clog your pores and cause future blemishes. The addition of the hydrating MDI Complex® keeps your skin supple and smooth. The DermaClear Spot Treatment soothes and treats sensitive skin that is inflamed with irritating acne. It contains Benzoyl Peroxide which targets the blemish-causing bacteria whilst smoothing and hydrating your skin. This gentle clay mask has a relaxing and soothing effect on inflamed and acne prone skin. It is formulated with Salicylic Acid, Willow Bark, Orange, Sea Fennel and Lilac Stem Cells, all of which cools and protects your irritated skin whilst reducing post-acne discoloration. 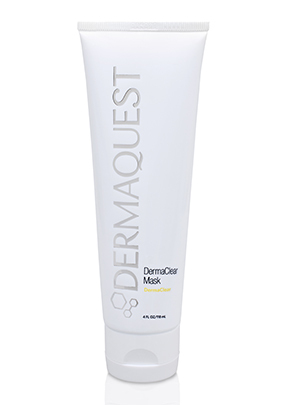 The DermaClear Mask is a beauty cupboard essential for anyone who suffers from acne as it will lessen the congestion of acne whilst keeping your skin smooth and hydrated. 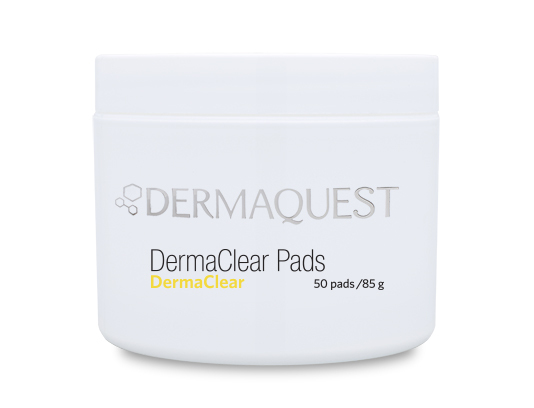 The DermaClear Pads are the ultimate archenemy of acne breakouts, these clarifying pads help to remove impurities and excess oil from your skin which can cause acne. Stimulated with Salicylic Acid, which penetrates the skin, reducing inflamed and clogged pores, our pads are a quick and effortless solution to refreshing and cleansing your skin any time of the day, anywhere that you may be. Say goodbye to breakouts for good and forget about acne with these cooling, exfoliating pads.